Thorougly ink a smooth brad in pigment ink of the desired color. (Stampin' Up! 's Craft ink is a pigment ink.) I used black Colorbox pigment ink for my example. 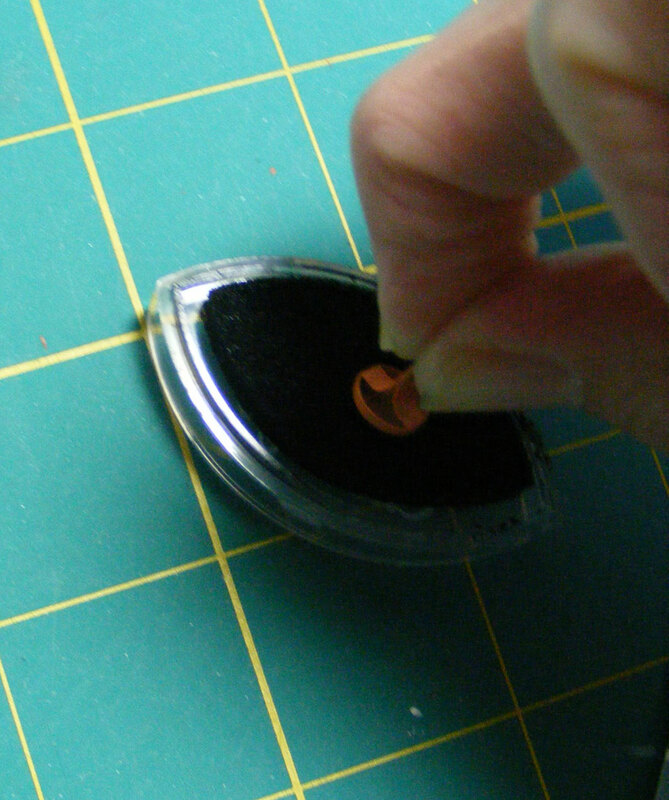 Dip the inked brad in clear embossing powder and heat. Be sure to hold the brad with tweezors to protect your fingers. 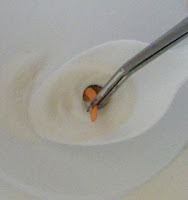 Repeat this process if necessary to get a full coating. That's it! A very simple way to give your brads a dye job. I did find that Colorbox pigment ink did a better job than Stampin' Up! I'd love to hear your experiences with inks. This is one of the few pattern papers I had with black in it and forunately it is two sided. I used a strip of the stripe for the center and turned the paper over for the aqua color. I didn't have any cardstock that matched this paper. The morterboard is simply a 2" square of black cardstock with a hole punched in the center for the brad. I attached it with dimensionals. 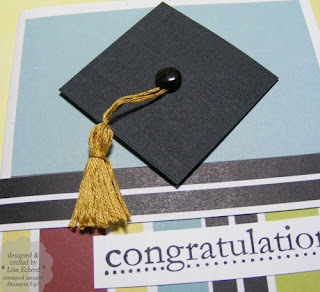 The tassels is made from DMC embroidery floss and adhered to the card with a glue dot. Thanks for stopping by for Tipsy Tuesday! Ink: Black pigment ink from colorbox, Basic Black for greeting from SU! Great card! I have changed brads with colored embossing powder too - just heat and dip. Great idea! I just use my copic markers...they work great, being alcohol based. 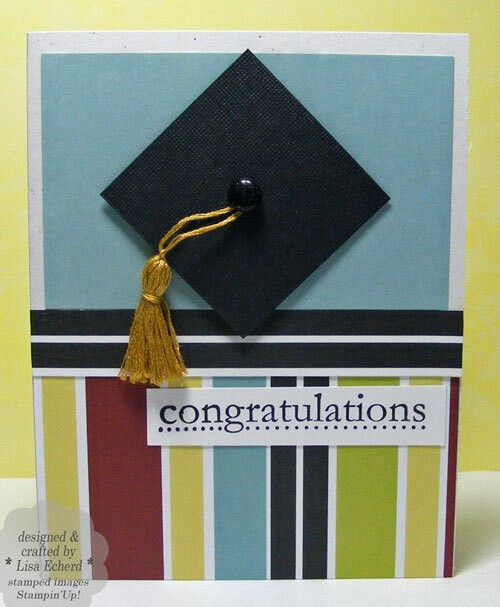 I love the card, the colors on the pattern paper are fabulous!! I love Colorbox Chalk Ink. I get such a better coverage and even stamped image or sentiment. of the challenges. It was really informative. Your website is very useful. you made blogging glance easy. The full glance of your website is wonderful, let alone the content material!